Firecracker 4 Miler – July 4, 2019 | NC Race Timing and Running Events | Go Time! The Fayetteville Running Club invites you to join them for their Premiere Event – the 6th Annual Firecracker 4 Miler and 1 Miler Race being held on Thursday, July 4th 2019 in Downtown Fayetteville. This is a race built by runners who know about races! Come join over 1,200 runners and even more spectators from all over the region for the All-American City’s Kickoff to Independence Day! The start and finish line consists of a celebration with after run food, beverages, community supporters, music and more! It’s a party you don’t want to miss. 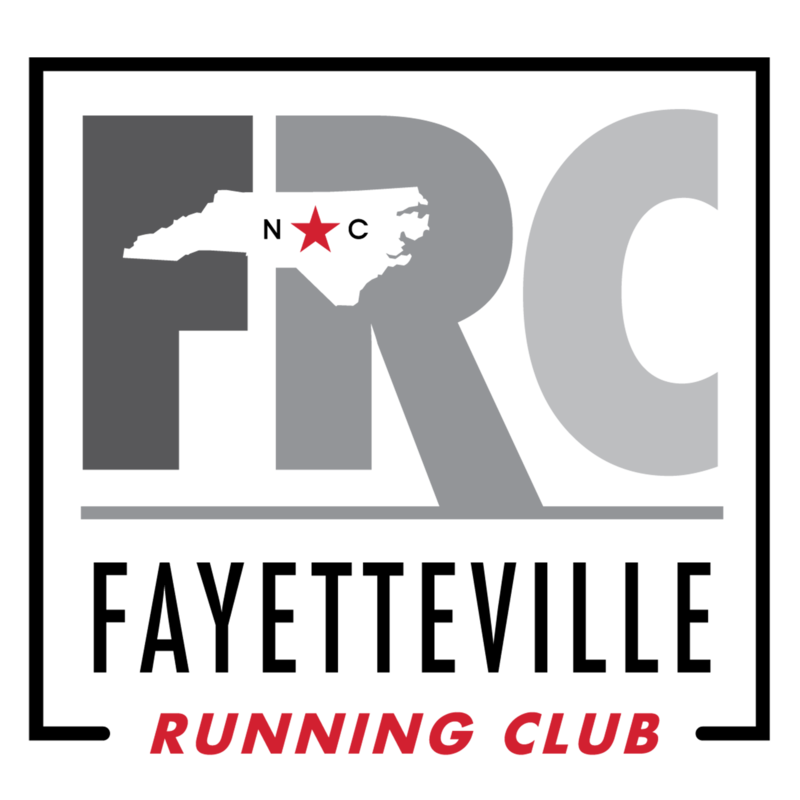 Fayetteville Running Club (FRC) is a 501(c)3 organization that has been promoting running as part of a healthy lifestyle since 2008. The largest benefactor of this race is the Gold Star Teen program, but if you follow our Facebook page, you will see that we make $500 contributions to deserving local charities every month. We also have two annual $1,000 scholarships! FRC supports runners of all ability levels through our daily meetups, social media pages, FRC Social Events, and monthly educational meet and mingles. We are proud to host over 14 running meetups per week to give our local runners a safe, fun, and welcoming group to run with. As an active philanthropic group within the community, we continuously strive to give back locally through our Fitness for a Cause Program giving $500 a month donations to local charities. 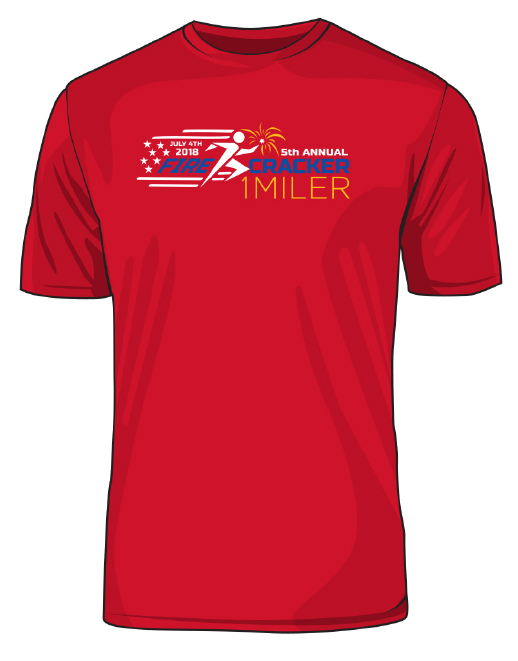 Race Shirts will be available to PURCHASE for $8 (plus tax) with registration until 11:59 PM on Thursday, June 20, 2019. The shirts are available in Youth S-M and Adult Unisex XS-XL cut sizes, and are made of a Dri-Fit / Sport-Tek material. MEDALS: All finishers from both events will receive a Medal! 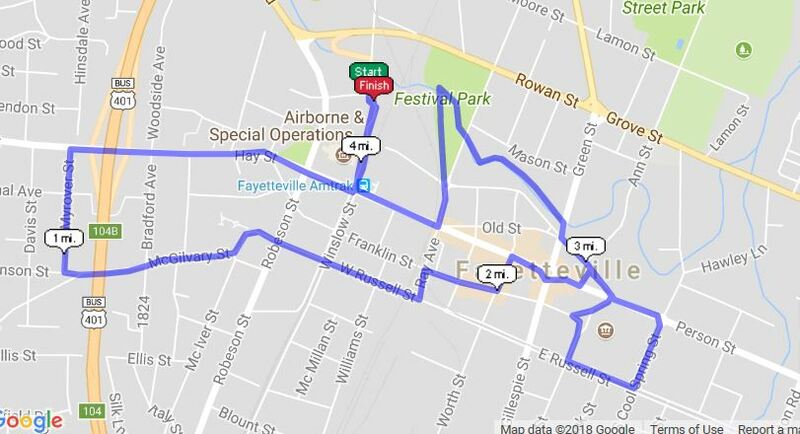 The four mile course winds through the beautiful and historic parks and museums of downtown Fayetteville, highlighting many historic sites which tell the story of our All American City. The course starts and finishes on the streets of Fayetteville at the intersection of Walter & Hillsboro Streets which is located between the N.C. State Veterans Park and the Airborne & Special Operations Museum. Parking will be at the nearby Medical Arts Center, and the Parking Garage on Franklin St. Be sure to cross the railroad tracks in the crosswalk at Hay St. There will be NO PARKING at the Airborne & Special Operations Museum or The N.C. Veterans Park. There are no refunds, registration will be accepted as a donation.